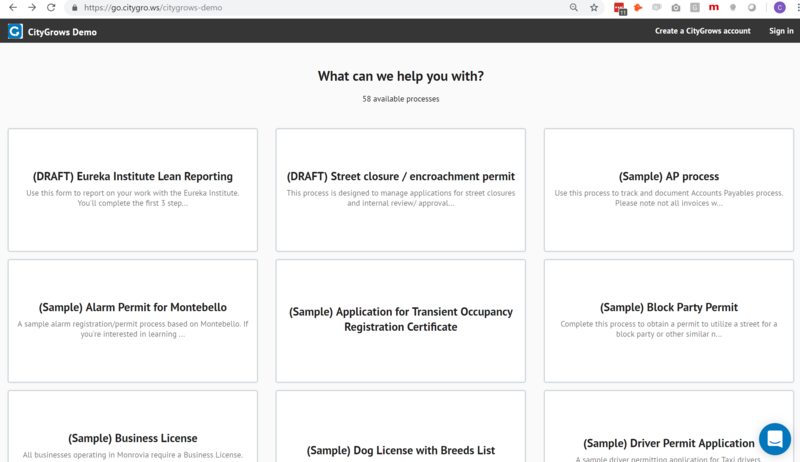 Your public portal is where people can go to see all of the CityGrows processes associated with a particular Team in one place, From the Public Portal page they can launch and view statistics on your processes. 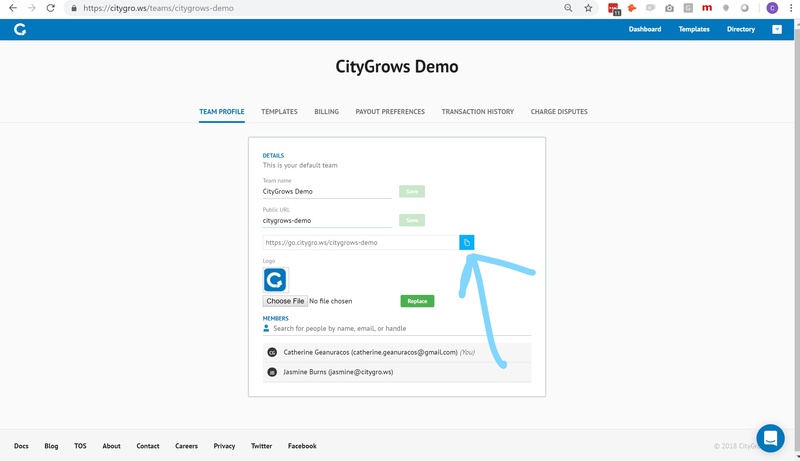 Here's an example of the CityGrows Demo account's public portal. Directing constituents or businesses to a Public Portal page is a good idea if you want them to see all the processes available to them. We recommend, however, using a link to a specific process when possible (it will start with go.citygrows and is found from the View tab/ Use template link) to reduce confusion. By default, all processes you create will be available to anyone who visits your public portal page, whether or not they are publicly launchable. If you'd like to keep a process private, you can do so by making it a private process. You can access the link to your public portal via your Team page. 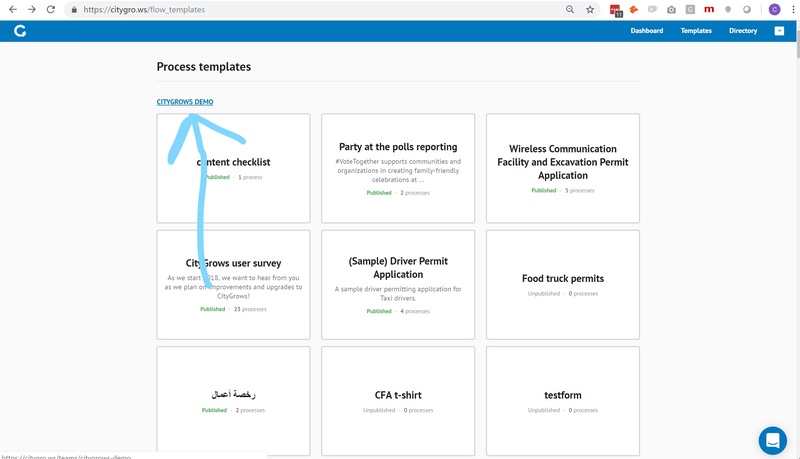 You can find it via Teams in the upper right corner of screen, by clicking on the Arrow menu, or from the blue Team name link on your Templates admin page. Be sure you've checked and set your Team settings before you launch your processes publicly! Here's what the team page looks like - just use the blue "copy" icon to grab the URL for your portal page.